I know that reviews about the works of Tangerine Dream arouse a great deal of debates. And it's not because it displeases that I won't have to write about it. On the contrary, if I was a neophyte of the Dream world I would appreciate a lot to read reviews and articles about the too numerous records of Edgar Froese group. 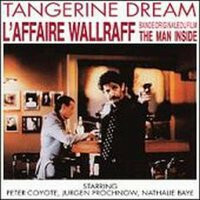 I thus keep my momentum with another album very difficult to find; “L'Affaire Wallraff (The Man Inside)” which, unfortunately and in all objectivity, is far from being worth the price of its rarity. 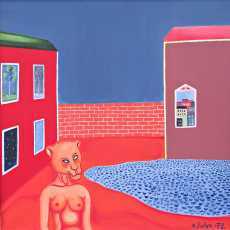 Composed in 1989, either at the time of Lily of the Beach, the music of this Bobby Roth's movie is boiling of these rhythms in boxes which furnish the tempos of the Dream music of its the so called Seattle years. “L'Affaire Wallraff (The Man Inside)” is consisted of 11 tracks of an average length of 4 minutes each. Thus if we look for marvels in evolutionary and a little bit complex structures, we have to look somewhere else! Four minutes with an intro and a finale, there not much time left to put some meat around the bone. With “L'Affaire Wallraff (The Man Inside)” we are on known territory where the percussions hammer and tumble down on structures which smell the warmed, as the dramatic "Addicted to the Truth" (a good title) which seems to have escaped from the Near Dark sessions, and other tracks which smell to the ears full of the sessions of Lily on the Beach, Miracle Mile and even Rockoon. So, a must for the fans of this period. The rhythms are heavy, the percussions are well worked and there are even some patterns of sequences which radiate the vestiges of Chris Franke; "Wallraff's Theme", "World of the Standard" and "Taboo Society" although very cold and at times quite uniforms. The rest is rather insipid and without interest, except for lighter tracks such as "Tendancy for Love" and "New and Morality" where we manage to smell a kind of emotion. In brief; a TD of the 90's where the emotionalism gives way to a cash register and where only the easy cash seems to be the principal source of motivation. If you have the means of your worship, it appears by moments on eBay, but you have to be careful and watch out because there are some pretty nice imitations out there which circulate from times to times. And there are at high prices too. Ah...this wonderful world of Tangerine Dream! Here is a thing which was lying about on my desk and which I almost ignored. Yet, since the excellent Kometenbahn, released in 2013, I had the sting for this band which lead us a few years behind with a psychedelic electronic rock which plays constantly on the borders of Krautrock and of Berlin School. Written in the stride of Spiralo, “Jenseits der Mauer des Schlafes” is part of a common project with the néokraut group Hisko Detria which aims to expose both bands in a wider audience. If the Finnish label Svart Records has launched this new adventure in vinyl, it is however possible to get “Jenseits der Mauer des Schlafes” in digital format on the Bandcamp page of E-Musikgruppe Lux Ohr. Carillons evaporate their ringings in droplets of stagnant water, whereas a line of riffs (tchoo-tchoo) chops boorishly the introductory atmospheres of "Jenseits der Mauer des Schlafes", a title which is inspired by a short story of H.P. Lovecraft entitled Beyond the Wall of Sleep. Nothing gets lost in the universe of E-Musikgruppe Lux Ohr! If the carillons are running away towards the limbo, their imprints remain always present and ring cheerfully on the handle of a bass of which the spheroidal notes roam and crawl upright, bringing heaviness and swiftness to a charmingly jerky and deliciously hypnotic figure of rhythm. An E-Bow is painting the whole thing with plaintive sighs and weeping solos whereas the synth calls some solos which roll in loops while crumbling some psychedelic electronic effects. We are in the pure cosmic rock of the Ashra years with this mixture of guitar and synth which make duel, as much in solos and harmonies as in the effects, on a repetitive rhythmic slightly spasmodic where always waltz these ringings which are now join by clinking of percussions a bit metallic. The rhythm loses its escalation at around 9 minutes to dive into the dark atmospheres which are inspired by the novel of H.P. Lovecraft. The bass and the percussions roam always in the background. With the effects of the synth, they weave a cabalistic envelope where the voice of Kimi Kärki recites a devilish incantation. The voice becomes voices and the envelope of ambiences becomes more chthonian whereas that little by little the structure of rhythm finds its vigour in a kind of jerky clanic trance where the psychedelic effects dominate the electronic ambiences. A very good track which wins all its flavor with a good headphone set and which proves that the Finland band of underground EM is far from being a flash in the pan. Between the borders of a land of ice and the most white petit point in the horizons of the cosmos, a big humming roams while being flogged by the bites of sound stars. Heavy, this ambiospherical introduction opens Erik Wollo's the last performance at the famous Star's End radio show of 2015. This time, the Scandinavian electronic bard makes counterweight to Silent Currents 3 by spreading an immense mosaic of soundscapes where the breezes of the North and their haloes of hoarfrost infiltrate the whispers of the caves of ice. 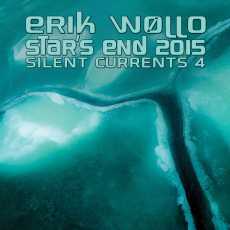 “Star's End 2015 (Silent Currents 4)” is doubtless the most quiet show of the series with linear and minimalist synth lines which intertwine their slow ambient arcs with some fine astral modulations in their caresses. We can hear the cosmos buzzing peacefully here as well as a thick cloud of seraphic voices, sometimes even a choir, which get lost in the hollow winds whistled by the high ice-cold tops. The whole thing forges immense sound waves which always leave cosmic residues before returning in cosmos. Layers of more seraphic voices swallow their rollings at around the 20th minute, freeing a more bright corridor where cavort crystal clear keys which wait only for a shadow of rhythm in order to take life. These small sequenced pearls gambol around and seem to shiver in the cold underground rivers of the Scandinavian caves, except that their brightness is too weak to make take out the rhythm of its den of serenity. It's as peaceable than soothing. The movement remains black and crumbles its minutes to the meter while that quite slowly is spreading the night over the shadows of Wollo in the studios of Star's End on WXPN-FM in Philadelphia. We arrive at the point of 30 minutes and the hollow breezes put on their wings another tone. That of a guitar that Erik Wollo caresses slowly with an Ebow, forging tears which get lost in our sense of hearing as were the ones of a synth. A suspended river makes its bed of sequences glittering which is singing with the sighs of the Ebow and this fusion of voice and of breezes which decorate the ambiences of "Silent Currents 4". A structure of minimalist rhythm makes skip the waterfall of sequences, structuring so an ambient rhythm which rings and resounds in layers of distant voices and in the shadows of the six-strings. This brief phase of aerial rhythm is swallowed by the anger of the winds which scold such as a distant machine of the cosmos, preparing the rather tribal rhythm which brings us to 50th minute. It's another short phase which fades out in rustles and in these immense layers of winds which accompany this quiet travel of our subconscious fed on serenity in the valley of Erik Wollo's silent currents. Tiny chords stroll on the shadows of a heavy woosh before that a carousel of sequenced keys swirl with the delicacies of the harmonies which remind us as much Flashpoint than Le Parc. A synth throws whistled harmonies which roll in loops on this bed of jumpy sequences. Percussions join in a background of bass, bringing "Below the Playfield" in a phase of electronic rock whereas the synth charms us just as much with its harmonies which are now distant. From Flashpoint to Mars Polaris, "Below the Playfield" makes working our sense of hearing with a package of references on Tangerine Dream, from the Schmoelling years to those of Jerome Froese, which follow the evolutionary curves of a track which exploits at the most its 7 minutes. In particular when a line of sequences skips on a conveyor, structuring a slightly spasmodic rhythmic phase along with the fiery percussions pattern which remind the TD with Iris Camaa. The synths spit as many harmonies weavers of earworms as twisted solos and long sighs of distress which make duel with the fragmented guitar solos of Jerome. Very good track! As much heavy than "Below the Playfield", "Bit Byter" begins with sequenced waves which lose their undulations in tablecloths of synths which spatter like astral choirs. The sound envelope is very dense with very good arrangements and a very catchy electronic tune which fits the rather jerky structure of percussions and sequences. It's OK! The curt rhythm and the melody remain stuck to our eardrums for a while. "Time Scanner" change so many forms as "Below the Playfield". If the beginning is sculpted in an approach of gloomy ballad which swivels on a boiling bed of percussions, the music goes for a good symphonic rock after a small ambient passage. Johannes Schmoelling's claw is glued on this track which spits harmonies of the Logos era on a structure of rhythm which is not so far from it. In brief, “300 003” has all the ingredients to satisfy the fans of Tangerine Dream,. 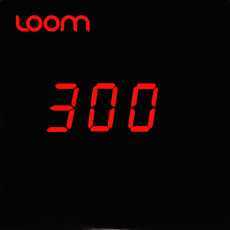 This is some good and well elaborated electronic rock full of sonic flashes which give us to smile and make us say that Loom is maybe the only and really one alternative to the sudden departure of our dear and regretted Edgar Froese. Keep this name in mind; Piotr Gepert! For his album, the Polish synthesist tosses us nothing less than a big slap between the ears. 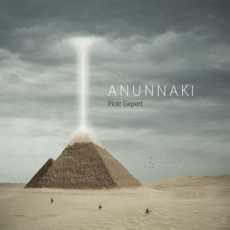 The delights of “Anunnaki” rest on motorik rhythms programming with delicious repetitive patterns, sometimes slightly out of sync, which haunt our brain and which bear as many melodies as great solos of very creative synths to the analog aromas. The magic rests on this cosmic approach which allies Jean Michel Jarre's works in the splendor period of Innovative Communication and its kind of New Berlin School style. We are attracted very easily and each track exploits a figure of rhythm as catchy as very different. Yet, another fine album of contemporary EM out of Generator PL. A wonderful surprise that this first album of Piotr Gepert is. A mixture of Kraftwerk and Krautrock, for the mathematical rhythms, Jarre, for the airs and the effects borrowed to cosmos, and of the immense variety of the artists of IC (the synth reminds me at times the madness of Baffo Banfi), “Anunnaki” is a breath of freshness with its rhythms easy to tame but which support nevertheless an electronic fauna and solos of synth which suffer of no complexes. A long humming come by far drops a translucent line which meditates on the atmospheres of "Melancholy". The snores of the bass become a shape of ambient rhythm, a walking for damned, where roam and cry a six-strings which sculpt the same soundscapes of opaque and intrusive ambient music. A guitar which scatters a kind of spectral melody which is as much heavy as the sorrows of my adolescence. 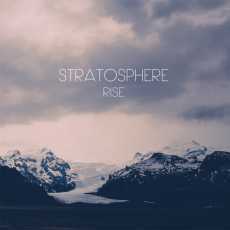 According to the curves of a music built on the multi layers of drones to the colors of a rainbow shinning under a sky of fire, “Rise” is no more and no less the answer of Stratosphere to its previous album Aftermath. Even if everything is always so heavy, we feel that the Belgian guitarist Ronald Mariën lives some happier moments. Happier because the music breathes by fascinating and captivating ghost melodies which rage and play the trouble-makers on a perpetual thick cloud of drones with the outlines radiating of contrasting luminosity. There are lots of shrill colors on this album which glitter between our ears. First of all, “Rise” beats by the delicate measures of a line of rather elastic bass. One would say a fusion between Dirk Serries, who mastered the album, and Stratosphere. Like in "Dream" where the lazy fingers of Stratosphere congeal a floating rhythm where are caressing the superimposed harmonies of an electric six-strings and the delicate riffs of an acoustic guitar. Here as everywhere in “Rise”, a heap of lines in the clear-dark colors wrap this melody which flows actually as a dream. Dramatic effects are inserted here and there, giving a more penetrating dimension to the track. I quite enjoyed this track! "Duality" is in the same style but with more colors in the tones. "Hypnotic" is the darkest track of “Rise”. The drones here are more compact and smother this melody which tears its guts in the razor blades of the drones. Chthonian and disturbing! All the opposite of "Enmity" where sleeps a very nice melody, we found it after 2 or 3 listening, on sibylline layers which float as the caresses of a hand on our soul. The bass structures an envelope of ambient beat of which the progression adopts the curve of the guitar layers in a duel between darkness and luminosity. It's also a track which disturbs, but not for the same reasons as "Hypnotic". It's very good. What fascinates in “Rise” is this constant presence of structures of rhythms as heavy as an ascent of a mountain with a backpack loaded with rocks. That transcends the structures of usual ambient soundscapes. As in "Desolation" where the bass feeds the wrath of a raging guitar, but always ambient, under this sonic sky which is covered of translucent drones. A title a little less difficult than "Hypnotic" but which stays in the same vein. "Explore" ends this 3rd opus of Stratosphere with a wall of lines and of very compact reverberations which leave little space, and luck, to this kind of ghostly melody of which the breezes whistle without really reaching a point of explosion. Roughly, “Rise” follows the traces of Aftermath but with a little more movements in the panoramas of reverberations and multi layers of guitars dressed with the tones and the colors of synthesizer. It's always a music of heavy and dark ambiences where breathe a life of harmonies chiseled in the shadows of the ghosts. When I received this album from Spotted Peccary and when I read the press info, my ears wanted to run away. Multilayers of guitar tapestries which spread their musing in synth lines? No thanks! I already gave in New Age in the 80's and 90's that I wasn't very attracted by the new release from Spotted Peccary. But I have an enormous respect for Howard Givens who always succeeds to give more momentum and depth to the productions of his label. Consequently, I had to listen to this “Still Voice”. But I had to catch up my ears. John Gregorius is a very recognized musician/producer in California where he produced and played with several groups and/or artists who have an impact in the country of oranges. Experienced guitarist, he had tried a solo experience with Heaven and Earth in 2007. His style is a little similar to that of Checkfield, Stephen Caudel or Darshan Ambient. Even that sometimes, the multilayer of guitar lines and their arrangements reminded me the very quiet David Gilmour. But still there, it has been quite a while since I heard some Gilmour in solo. And in order to give well a good dose of shivers in the soul, John Gregorius held the services of 5 musicians which handle stringed and winds instruments. Not really my cup of tea but well... I finally found my ears! The notes of a guitar hang onto a shadow of gloomy atmospheres. Some jingles invite each other as well as a bass, percussions and a piano. "Grounded in Mystery" begins this odyssey into the land of very firmly pinched notes of guitars with an almost lively structure of rhythm where the piano and the guitar are facing in a sober duel. While that another guitar line attacks the melody with so many more harmonious notes, the bass and the drum are restructuring "Grounded in Mystery" towards a ballad of which the effect of heaviness adds a rather poignant dimension. It's beautiful, but I have the feeling to have heard this music. Maybe with Darshan Ambient, for the very melancholic envelope, or still Stephen Caudel for this sort of thirst of freedom. But no matter, it's rather good to pursue. "Wonder of Grace" starts with guitar loops which wave like an airy folk ballad. Here, John Gregorius lays down three lines of guitars which crisscross their harmonies and their dreams on a sober play of the drum, handled by Mitch Ross. And he is doing a pretty fair job on this album. And suddenly, it's the angels who sing on this very ethereal hymn. The percussions become more rock and the guitar remains cosmic, as of a good Gilmour mood. And there, our reserve in front of John Gregorius' music diminishes little by little. I don't say that it is brilliant but it pleases to my Lise! "Fall into the Open" is a slow funeral march with the voice of Kimberly Daniels, for two verses, which caresses just as much our dreams as the tears of violins. It's sometimes soft, sometimes very melancholic and it bears the weight of the world on this slow march decorated with small jewels of harmonies. It's very New Age and we easily imagine the angels to waltz tenderly on this almost funeral rhythm. "Benevolence" is the most livened up track in “Still Voice”. It's almost electronic with the percussions which drive and the seraphic ambiences over which John Gregorius' six-strings gets lost. To date, the adventure is quite pleasing and those riffs give a slightly rocker mood to the track. "Trust" is an ambient track which drags the weight of "Fall into the Open". 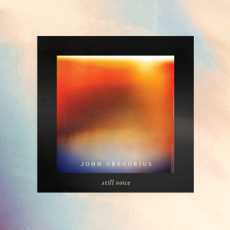 John Gregorius puts many effects of reverberations over the droplets of his guitar, amplifying the emotive impact of his music. The voice of Kimberly Daniels, who also plays the piano, gives small shivers to the soul. The title-track is a kind of mixture of "Fall into the Open" and "Benevolence". "True Self" is a nice small track rather striking with good arrangements and a soft rhythm where we could see us floating in the air. The drum is as much alive than on "Benevolence", but it remains an ambient melody. "Let it Go" is almost acoustic. It's like to bring his buddies on the edge of a brook to make an acoustic jam. Imagine the gang of Mannheim Steamroller on an acoustic mode and you have this mood here. The same goes for "Light and Salt", but only the strings are on the menu with two lines of guitars. Violins and acoustic guitar; "The Dance" is a long piece of music as quiet and dramatic as the credits of a movie which finish on a bad mood. We are far from the electronic, but I found that beautiful! “Still Voice” is an unpretentious album for those who like dreaming over the sound of a soft music. It's pleasant! The music is quite listenable and puts our brain off! Lise has liked it. At least that's something! Did I like “Spiral”? No! And today? A little more! I know, I am going to receive a shower of tomatoes (again!?). My credibility is even going to take a blow, but I had enormously, and I still have a little, of difficulty falling under the charms of “Spiral”; an album which was a real revolution in EM. First album to be built around the immense possibilities of the Yamaha CS-80 synthesizer, “Spiral” breathes all the complexity of this instrument with a Vangelis Papathanassiou avid to squeeze out all the maximum without falling in the dissonance, in the experimentation or in the improvisation. All the opposite, Vangelis has succeeded the improbable; transcend, at the technical level, Heaven and Hell and Albedo 0.39, while keeping this fabulous approach of melody so melancholic which will adorn with a halo the very sublime "To the Unknown Man". But before, there was a myriad of other tones that was necessary to know how to tame if we were seeking for a more musical content. It's within the framework of our radio show, Murmure du Son, that I discovered again this album which has bloody aged well. It's like an effect of big sonic cork which overflows, as a drain that we empty and which the sound particles rush towards the neck, that the title-track binds itself to our lobe of ear. We look at the artwork of “Spiral” and it's creativity at the pure state because the music reflects in all senses the picture. Ambient, "Spiral" is a spiral of sequences which follow each other in single file, like a sonic snake which moves constantly to reach more sensational colors and more swiftness in its fluid movements. Vangelis manages to attach a melodic approach in orchestral explosions unique to his signature to reach an explosive finale. That took me some listenings and I eventually ended by liking it. But it was different with "Ballad"! A dark and rather strange track which progresses with synth and with jerks of ghostly violins. It's a track punctuated with explosions, coming from the many arrangements and symphonic percussions, which make that the ends of short-lived rhythms return to their ambiosonic embryos whereas the synths moan around the chants murmured by Vangelis. "Dervish D" proposes a jerked and repetitive structure of rhythm which is knotted around spasms of sequences, a little just like Pulstar in Albedo 0.39 but a little less musical I would say. The synths are very musical, almost lyrical, and the percussions add a tint of Jazz-rock to this track of which the nuances and the variances in the flow of sequences add to its charm. This is the perfect example of the track that I found cacophonous at the first listening and that I eventually appreciated over the years. "To the Unknown Man" is the jewel of this 3rd album of Vangelis on Polydor. We find all the essence of Vangelis here with a line of bass sequences which draws a sober hopping movement where hangs some chords which skip in parallel and turn in a loop on a rhythmic as much pulsatory than ambient. These chords give the shiver because of a delicate intensity where the moroseness goes next to the momentary cheerfulness. And the Vangelis effects accumulate; metallic mist which seems to hum, drum rolls and symphonic effects feed a crescendo which gobbles up your emotions. It's one of beautiful piece of music from Vangelis and I suspect that it's maybe the genesis of Chariots of Fire. "3 + 3" is a very beautiful track which allies these movements of sequences which swirl in spirals, one would say millipedes which run in order to copulate, to pompous crystalline melodies of which the high notes perturb us the puddle of shivers. The movement spreads a fascinating symphonic progression with these solos filled of perfumes of shrill trumpets, a little as these trumpets which would announce the end of time, which chuckle and which dance in one finale loaded of orchestral explosions. It's the fusion electronic symphonic rock totally crazy, such as conceived by Vangelis. "To the Unknown Man (Part Two)", which nested on the single of that era (To the Unknown Man), is the bonus track on this reedition remixed by Vangelis and which is offered by Esoteric Recordings. We hear maybe some light perfumes of the older brother of sound here, but it's rather to a track of Jon and Vangelis, The Italian Song, that I think of when I hear this delicate and very oniric lullaby with some very melancholic arpeggios which sing into clouds of prisms. The arrangements, the voices, the romantic and dreamy approach as well as the level of emotionalism unique to Vangelis bring a great deal of shivers to this short but delicious ballad for nostalgic souls. “Spiral” is an album complex and a little complicated to tame. 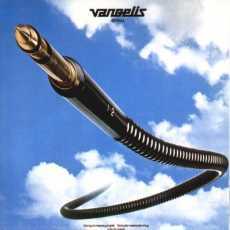 A little as in Albedo 0.39, but in a clearly less musical and more experimental envelope, Vangelis aims at all the styles, accentuating this lack of homogeneity that was his musical signature of this time. There is some very good moments here and others clearly more difficult that I learnt to tame with the years. I think among others to "Dervish D" and "3 + 3". It's the indication of a very avant-gardist album which has deliciously aged well.